A pregnant woman hides in the back of a truck to cross the border because she hears Canada is safer than the U.S. A mother with four young children sells everything to come to cross the border because she’s afraid of being sent back to Africa. These are the people Dr. Paul Caulford calls heroes. A pregnant woman hides in the back of a truck to cross the border because she hears Canada is safer than the U.S.
A mother with four young children sells everything to come to cross the border because she's afraid of being sent back to Africa. 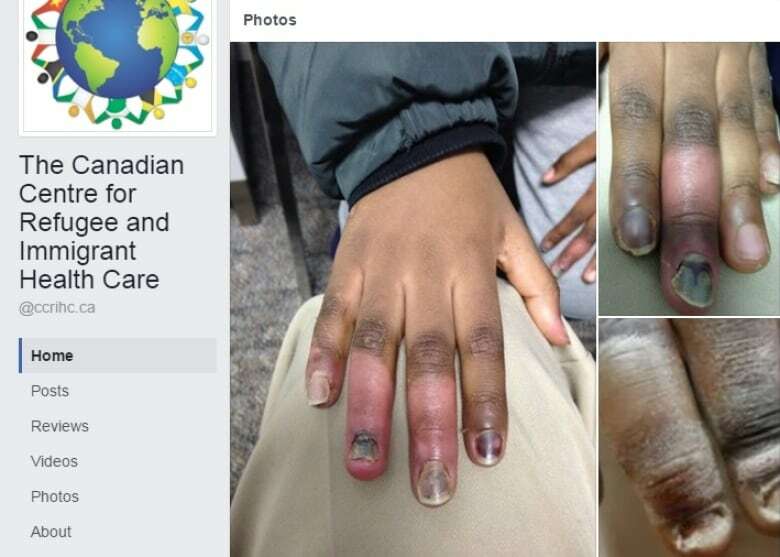 A mom who covered her child's face with her frostbitten hand for three hours to shield him from the cold in a Toronto park. These are the people Dr. Paul Caulford calls heroes. 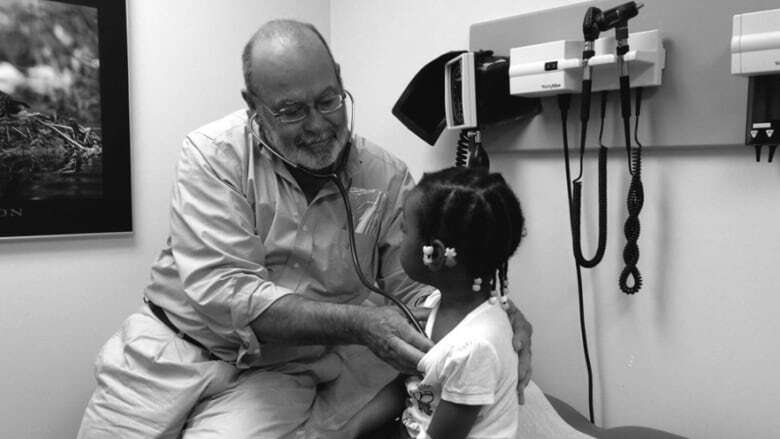 At his volunteer clinic, the Canadian Centre for Refugee and Immigrant Healthcare in Scarborough, Caulford and his team treat refugees and newcomers — mostly women and children who have come through the U.S. from places like Nigeria and Ethiopia and suffered from abuse, female genital mutilation and malnutrition. Some of his most severe cases have included frostbite in children. In the last month alone, he's treated almost 50 people who don't have insurance or OHIP and can't afford private care due to their status — something he said has to change. Caulford has taken it upon himself to write to the federal and provincial governments to speed up the healthcare insurance process so many refugees can get the care they desperately deserve. He said the current wait period to access benefits is 8 to 12 weeks. He's also written to Ahmed Hussen, Minister of Immigration, Refugees and Citizenship, to change the Safe Third Country Agreement which was implemented in 2004. The agreement states that refugees must seek protection from the first safe country they arrive in, which in the case of many of Caulford's patients is the United States. But calling the U.S. a safe country is something many refugees and asylum seekers no longer agree with, after President Donald Trump's travel ban..
"The journeys are as far away as Texas, Georgia and Florida — they're dressed in windbreakers," he said. Many of his patients have told him they left the U.S. because they were told they would be sent back to where they came from. Another thing many of the people he's treated have in common is their journey to Canada — sitting in the back of a cold truck. He describes one woman who was told, "Get out of the truck, your journey's over, you've only paid to this point." They're often dropped off in a cold place — a park or the side of a highway. Despite their harrowing journey, Caulford said most of them believe Canada is a great country and they feel safe here. He recalls one patient who told him she was dropped off at the outskirts of the city and was walking along the road with her children to find a safe place. A man drove by them, stopped, and backed up. He told them to get into the car and took them to a Tim Horton's, bought them a coffee, got them warm and called for help. 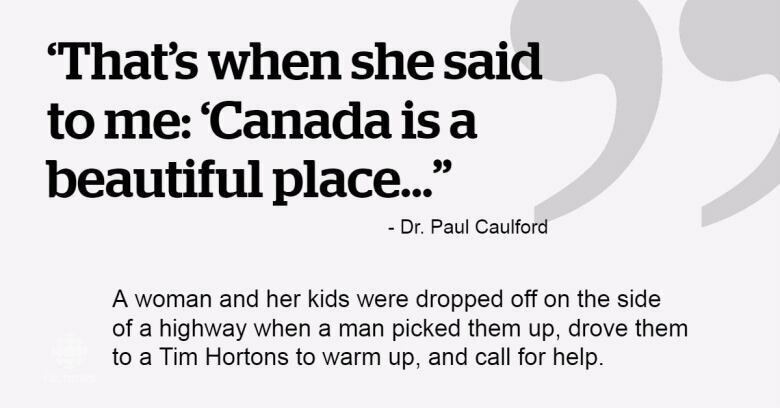 "That's when she said to me: 'Canada is a beautiful place,'" said Caulford. Many of the clinic's patients come through the shelter system, said Caulford, who is retired from his family practice. The clinic has been operating for 18 years. He said he knows he's not the only one doing this type of work — but questions how many more refugees are in need of urgent care. "We would have our Alan Kurdi on the beach … except it would be in a snowbank," he said, referring to the three-year-old Syrian boy who drowned and was found lying face-down on a Turkish beach in 2015, triggering worldwide headlines. 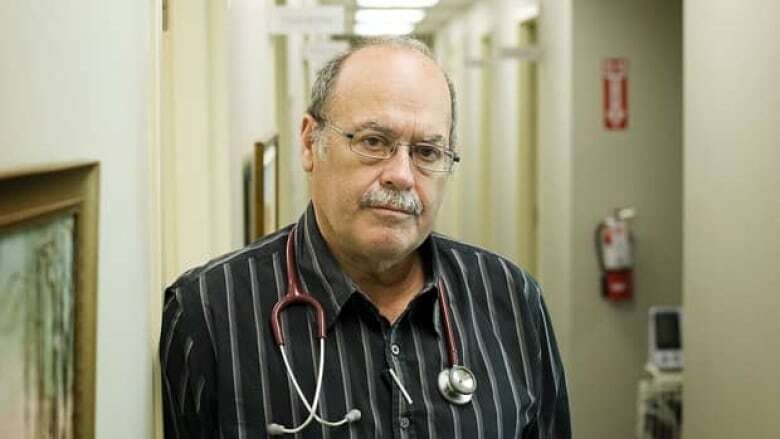 Caulford adds that many lives have been saved because of the generosity of doctors, volunteers and first responders — but more can be done if the government implements changes to health-care insurance. That insurance could mean the difference between saving a young boy's hand and amputating it after he suffered from severe frostbite. The boy needs physiotherapy to restore full use to his hand, something that is costly and unaffordable for the family. To help, Caulford said "we have given him a little plastic golf club." "His mom says he won't stop playing golf and it's helping his hands heal." Caulford admits it's difficult to not get emotional when speaking about his cases, saying anyone who meets these families would "want to clean [their] basement and let them live there." The Canadian Centre for Refugee and Immigrant Healthcare is holding a fundraiser Thursday evening where they will also recognize the team of volunteers behind the scenes.